Getting a good deal on the price of a car can truly feel like a victory, so good for you if you got a great deal! Many consumers think that negotiating is over at this point, and they forget that they can negotiate financing as well. First of all, you have a choice. You can choose to finance through the dealer, or you can choose to finance through your bank. Which one is better? According to Autotrader.com, dealer financing does have upsides. You are already at the dealership, it’s convenient, and you may be able to negotiate a deal on the spot and cruise home in your new ride in a matter of minutes. The dealer can offer incentives like low interest rate financing that your bank simply can’t compete with. Additionally, dealers have relationships with a large number of banks, so they may be able to do some comparison shopping for you to secure a very low rate. This process is called “shotgunning” and it may be able to get you a better rate than you would have received from your bank. There are also potential downsides to dealer financing. Some dealers mark up the rates. The dealer may also sell your loan to a bank with which it has a relationship, and there is no telling which bank, or where that bank may be located. There are definitely advantages to going with your bank. The first is simple; you already have a relationship with your bank. That relationship may be the difference in a better rate, and if you happen to be running late on a payment it pays to know your lender personally. Another good option is that you may be able to set up an automatic bank draft, so that you don’t miss a payment or make a late one. Additionally, your bank doesn’t have to mark up the rates it gives to consumers. They are the lending institution, and as such don’t have a built in margin to cover. There are of course downsides to going with the bank. More than likely, your bank won’t comparison shop for you, and your bank can’t provide dealer incentives like 0% financing. Would the scenario be different if I chose to buy a used car instead of a new one? Banks and dealers offer lower interest rates on new cars. The reasoning is that it is much easier to determine the resale value of a new car because of the general understanding of the new car depreciation rate. There is little risk from the lender’s perspective when they know the future value of the car. When financing a used car, the rate is higher because it is difficult to determine the depreciation rate on an older car due to things like proper maintenance and mechanical issues. This represents a risk to the lender, so they raise the rate to cover the unknown future value of the car. If shopping for a new car, it is worth it to at least look into dealer financing. Dealers offer incentives on new car purchases, and in some cases even offer 0% financing. This is something that you would never get on a used car. 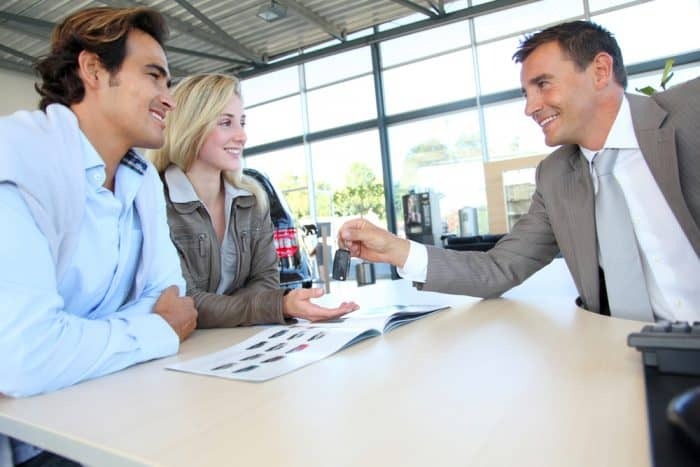 If shopping for a used car, then it makes sense to look at bank and dealer financing to identify the best deal. More than likely the best deal will be with the bank. If the bank has the best deal, then maybe try asking the dealer to beat it. Regardless of what you decide, understanding your financing options is the most important part.